The Lanier Theological Library is privileged to have received the private collection of Robert Lindsey, an acclaimed Biblical scholar noted for his significant contributions to synoptic research (the study of the first three gospels—Matthew, Mark, and Luke) and his life of service as a Baptist leader and pastor in Israel. 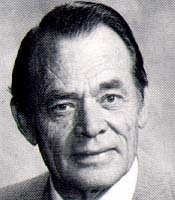 Robert Lindsey was born in Norman, Oklahoma, to J.L. and Elsie Lisle Lindsey. He received his B.A. from the University of Oklahoma and journeyed to the Holy Land after graduation to travel, study and work. Lindsey met his wife Margaret Lutz on his return to the U.S. in 1940. They were married in 1941 and had six children throughout the coming years: David Lisle, Margaret Lenore, Barbara Ann, Daniel Norman, Robert Lutz and Deborah Kay. Lindsey received a Th.M. from both Southern Baptist Theological Seminary and Princeton Theological Seminary. He travelled with his family to Jerusalem in 1945 after being appointed as missionaries to Palestine. Upon arrival in Jerusalem, the Lindsey family resided at the Baptist House in the Rehavia neighborhood. Lindsey served at the Baptist Chapel (later known as the Narkis Street Baptist Church) and continued to serve there over the next four decades. Almost a year after the state of Israel was established on May 14, 1948, Lindsay negotiated the purchase of a 15-acre tract of land near Petah Tikva on behalf of the Baptist Convention in Israel. The farm became known as the Baptist Village and served as an orphanage, boarding school, camp and retreat center. Lindsey assumed responsibility for the Baptist Village from 1956-1959, becoming a father to nineteen Arab and Jewish orphans at George W. Truett Children’s Home. After earning his Ph.D. from Southern Baptist Theological Seminary, he continued his work at the Baptist Village. He suffered a serious injury in 1961 as he attempted to rescue one of the Baptist Village orphans, Edward Salim Zoumout. Lindsey stepped on a landmine and lost his left foot, but he became a hero of Israel. Returning to Tiberias, Lindsey began to devote his time to synoptic research. His “eureka” experience occurred on February 14, 1962 when he began to believe that Luke was written before Mark. Lindsey returned to Israel in August of that same year and served as senior pastor of the Narkis Street Baptist Church. While Lindsey became known as an astute scholar, he was also a very effective, shepherding pastor. He actively assisted in the establishment of churches in Israel and in training both ordained and lay church leaders. Lindsey authored a number of books and articles, but his relationship with the people of the land was more important to him than any recognition of his scholarship. Jesus tells in John 15:13, “There is no greater love than this—that a man should lay down his life for his friends.” Dr. Robert Lindsey was willing to do this because of the love of God that directed the course of his life. He loved our land and its people and gave us the best of his days. He came to this country an energetic man and left old and sick. He gave us the vitality of his youth and the wisdom of his age. To many he was a graceful father, a caring brother, but a friend most of all. He was a friend to the Arab and the Jew, the young and the old, the rich and the poor, the educated and the unschooled, those in key positions and the common, the afflicted and the whole. His name is precious to us, and his memory shall always be in our hearts."